Jamaica is famous as the birth place of Reggae legend Bob Marley. 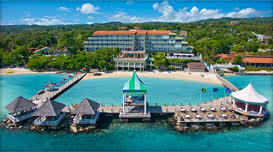 This home of reggae is also an excellent tourist location, as Jamaica is considered a premier Caribbean destination. 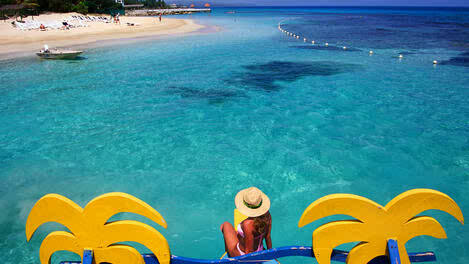 The Jamaican people, rich in art and culture, invite guests to subscribe to the relaxed pace that dominates the island. Tourists should easily be able to visit exotic places throughout the island as excursions and ground transportation to various island destinations are readily available. The North Coast is the primary Jamaican destination for shopping and sightseeing. Topping the list of things to do in Ocho Rios, if not the entire country, is a visit to Dunn’s River Falls. Beneath the foliage canopy of Dunn’s River Falls Park, cascading water rushes over rock formations and into the sea. The park also has extended wooden decks and walkways that allow visitors the view the falls from a safer and dryer distance. Tourists can also take a bamboo rafting trip down the Martha Brae River. The rafts have padded, slightly reclining seats, wide enough to fit two comfortably, and a guide also rides on each raft. This is a suitable activity for the whole family. A visit to Appleton’s Estate will also be a highlight of a trip to Jamaica. Appleton’s Estate, near Montego Bay, has been producing rum since 1749. Guests can tour the distillery and see the entire rum-making process. Immediately following the tour, guests can sample rum in the Appleton Lounge. A complimentary bottle of rum is given to each guest. These are just a few of the things that make Jamaica a place you just must visit. He Must Be Teething; How To React When Our Partners Misbehave!